Several South Yorkshire venues are investing in their event space, making the area a C&I hotbed. The Crucible Theatre recently reopened after a £15.3m investment that opened up a range of corporate spaces including the Adelphi Suite, a glass-fronted reception space for 100 delegates with views across the city. The venue also offers a 900-capacity three-sided theatre. The University of Sheffield has invested over £160m in refurbishing its current facilities and creating two new conference and accommodation villages featuring flexible meeting space, dining facilities and more than 4,000 en-suite bedrooms. These include the Ranmoor Village, with about 1,100 new en-suite bedrooms. Just five minutes from Sheffield city centre, near the Peak District, the venue is the perfect option for nature-based incentives. 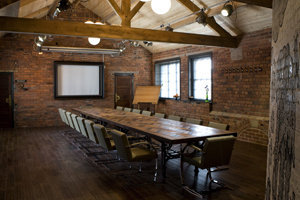 The Ridge, Ranmoor Village's conferencing centre, offers three contemporary conference rooms with capacity for 150 delegates. The 327-acre, £300m Yes! Project will offer a 110,000m2 covered leisure and entertainment-based resort, activity and conference destination, located within regenerated parkland just off the M1. The Chimney House opened in March and has already won business from high-profile companies such as law firm Irwin Mitchell. The building has an unusual interior design featuring a 93ft chimney rising through the floor and out of the roof. It can cater for up to 60 delegates. Home to the Duke and Duchess of Devonshire and just 20 minutes from Sheffield, the stately home Chatsworth House has opened new event space for 300 delegates and allows delegates to try activities such as duck herding.